Derek has been a Teaching Fellow for the last two years and before that was for twelve years a part-time lecturer in archaeology. He specialises in the archaeology of the Viking Age in Europe and Scandinavia. The Irish Sea provinces and south west England in the Viking Age. Derek has organised annual Day Schools on the Archaeology of Devon. He has also organised day schools on Late Roman and Viking Age themes. Derek graduated with a first class joint honours degree in History and Archaeology at Nottingham in 1972 and went on to excavate for and to do research at the Römisch-Germanisches Museum, Köln. He worked briefly at the Museum in Hull before doing part-time lecturing for the Department of Adult Education at the University of Hull. He has been for the last twenty years a part-time lecturer in the Department of Lifelong Learning at Exeter. 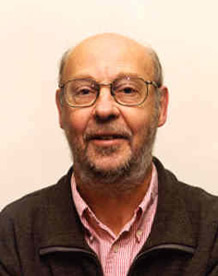 In 1998 Derek was one of the pioneers who wrote Distance Learning courses on the web for students worldwide to obtain University of Exeter qualifications at certificate and diploma levels in archaeology. Having a joint honours degree in history and archaeology, he finds the study of both written and archaeological evidence rewarding. He has worked for the Department of Archaeology as a part-time tutor, lecturer and Teaching Fellow for the last 14 years. For the last five years he has supervised third year students doing computer modelling of ancient structures for the Department of Computer Science. Derek organises University Study Tours for Lifelong Learning students. Destinations have included Denmark, the Isle of Man, Provence, Burgundy, Hadrian’s Wall, East Anglia, Kent, Spain, Libya and Germany.